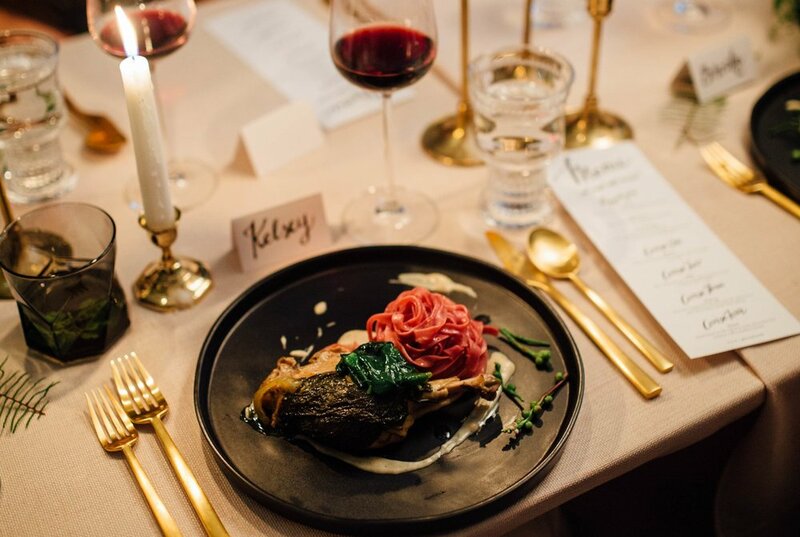 The first Elephant Table dinner party showcased the versatility of ingredients from Hausbar Farms. From the florals to the four course dinner to specially brewed beer, each component was fused with complementary, hand-picked ingredients from Hausbar Farm. Hosted in Gypsy Floral's boutique floral and event design studio, this was an experience that thrilled all of the senses. Sometimes we throw dinner parties as an excuse to get fun group together and test out some new recipes. For Volume 2, Elephant Table partner, Beth DiBaggio, and Allison DeCarlo of Vespaio cooked a dinner focused on the art of pasta set in the driveway of a private residence. For Elephant Table V. 3, we paired up Corey McEntyre (Chef & Founder of Milo Biscuit Co. in Waco, TX) and Avery Cox Design. The result? 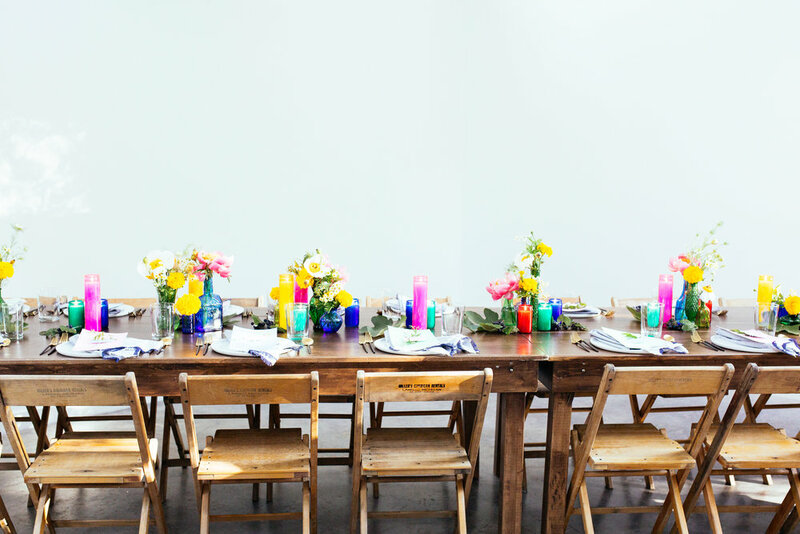 The 6-course Southern hospitality dinner of our dreams...without the burlap and mason jars. These two have just enough charm to create the most inviting, hospitable experience but with a contemporary, timeless edge. With wine pairings by Waco Wine Shoppe, and surprise twists throughout, this dinner was one for the books. For ET Volume 4, we teamed up with featured chefs, Matti & Geo of Mum Foods, and designer, Emily Waldmann. 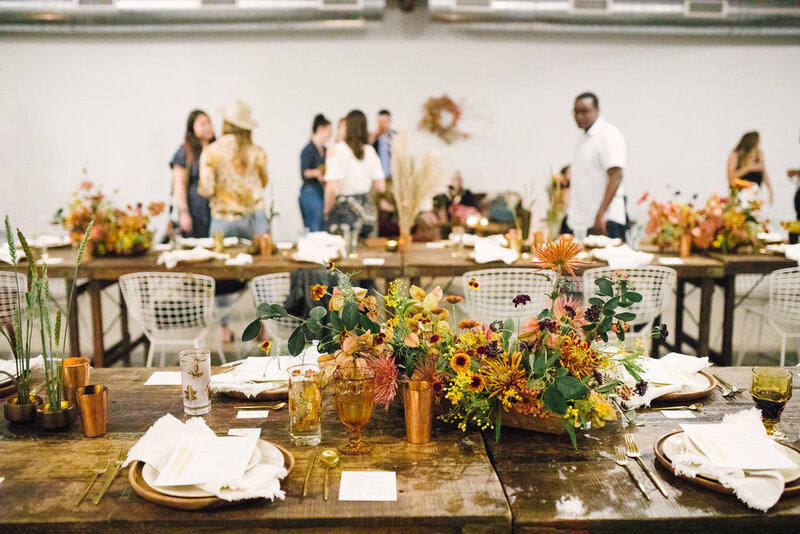 The dinner was hosted in Paige Newton's photography studio, and guests were welcomed with colorful, West Texas vibes that connected everyone to Texas' deep roots. Mum Foods forages just about all of their ingredients right here in Texas, so many a Texas root were consumed, incorporated into the beer and cocktails, and utilized in Emily's design.